I love the idea of a Sunday afternoon tea. We used to go visit my Nana on Sunday afternoons and she has all these lovely tea cups and tea cozies. The adults would drink their tea and we’d all enjoy some of Nana’s treats. Afterwards we would read all our new library books or head off to the beach. She often had lamingtons for us kids to eat. If you’re not from this little part of the world, lamingtons are sponge cake soaked in raspberry icing and coated in coconut. I think I got my love of Sunday afternoon tea from these visits with Nana. I’m very excited for the day I am more adult and have a little garden to host Sunday tea parties. I told L I would be making a raspberry and coconut cake and his reaction was so you’re making a lamington then? 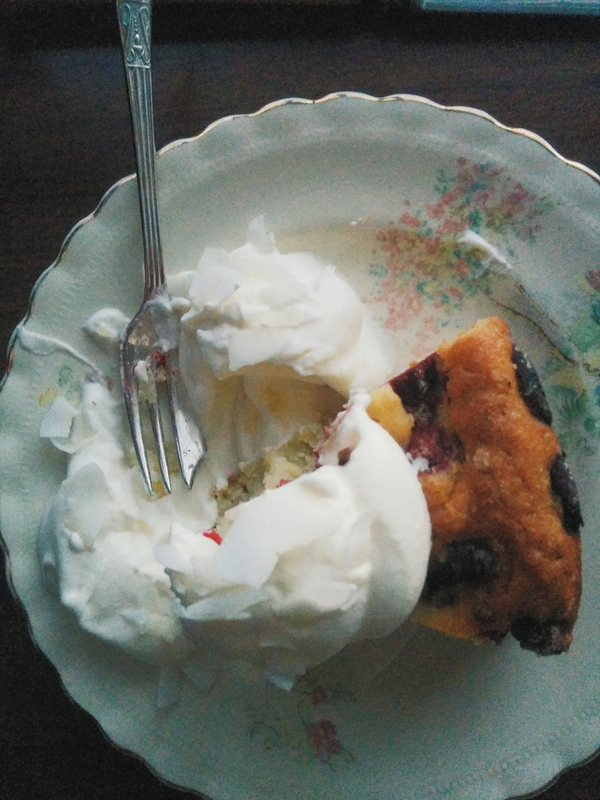 After he was scolded accordingly* I set out to make the easiest cake I could. It is not too sweet and can be made anytime of the year! Frozen raspberries work just as well as fresh. 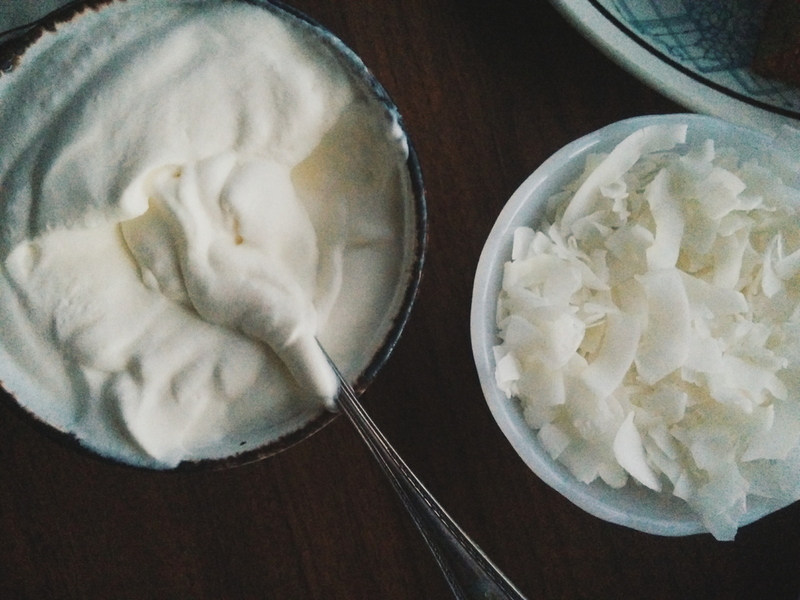 The coconut flavor is not overpowering for those crazy people who don’t like coconut. 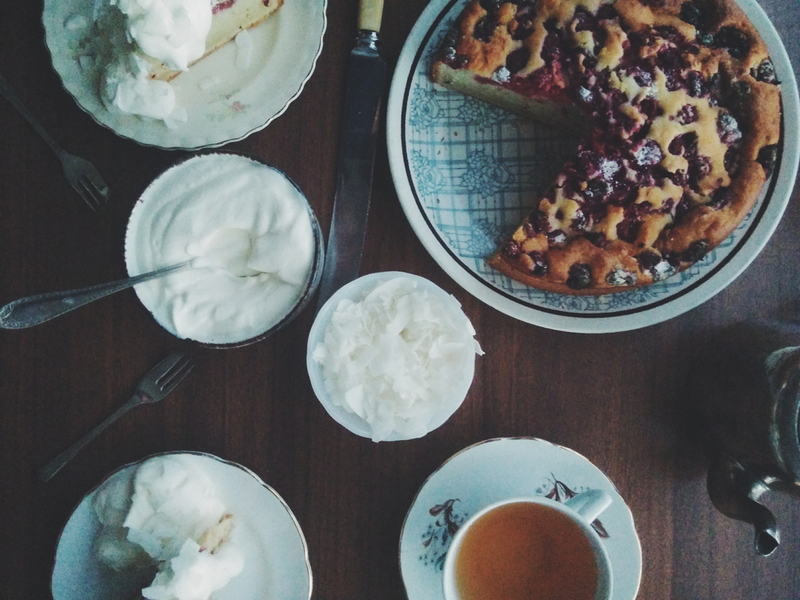 It is fantastic with a bit of cream and a hot cup of tea. Grease or line a round 7 inch cake tin. Melt butter in a saucepan over a low heat. Allow to cool. Whisk together with eggs and coconut cream. Pour wet ingredients into the dry ingredients. Fold to combine. Pour into your cake tin and sprinkle over 1 cup of raspberries. Bake at 175°C for 45-50 minutes, or until a knife inserted comes out clean. Allow to cool. Serve with a dollop of cream and a sprinkling of coconut flakes.